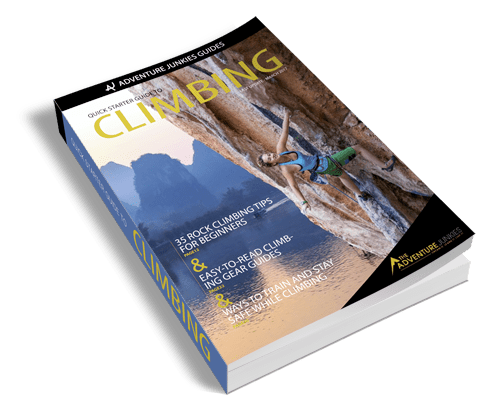 Have you ever come away from a cragging session with sore palms, or struggled to hold a big leader fall as the rope ripped through your hands? 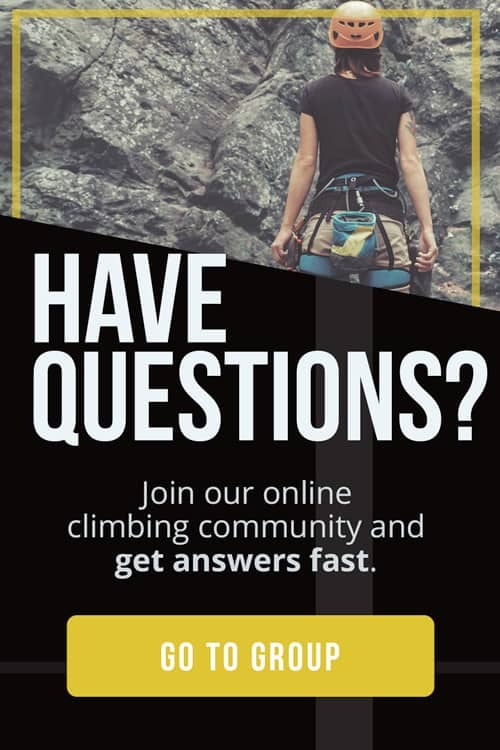 If so, you need some belay gloves! The Adventure Junkies will help you find the best belay gloves for you. 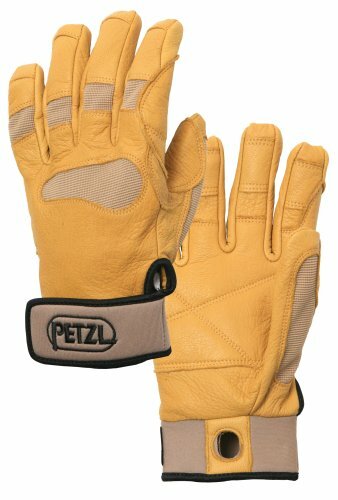 As well as using them to belay at the crag or in the gym, belay gloves are often used for rappelling. The friction generated by the rope on a long rappel can hurt. 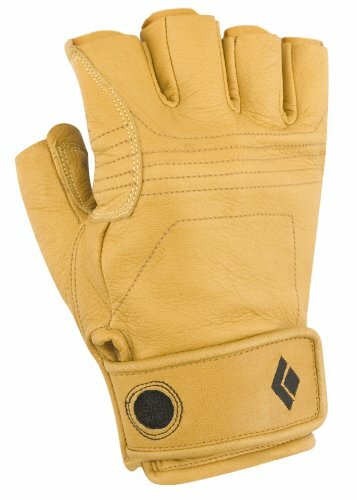 Using leather gloves means you’re more comfortable and safer on rappel. Gloves are also used for aid climbing, where you spend longer holding on to the rope and gear than you would free climbing. Aid climbing gloves are great for belaying too. 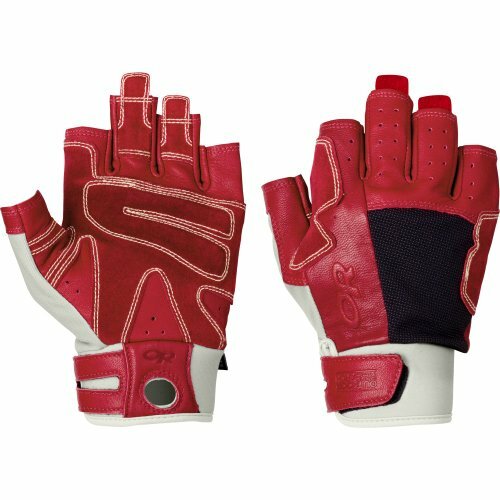 The length of the fingers of your gloves is the main choice you have to make when buying a pair. 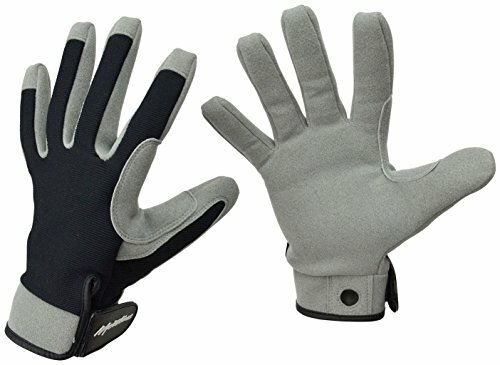 Belay gloves are available with full fingers, half fingers and sometimes three-quarter fingers. Some manufacturers make the same glove in both full and half finger versions. 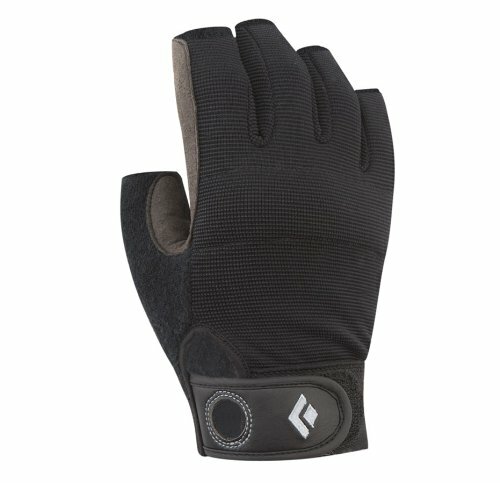 Full finger gloves protect your whole hand. 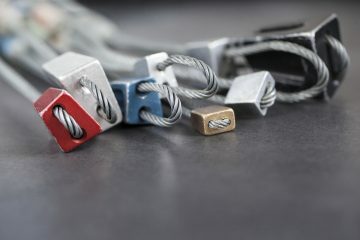 They’re great for belaying and rappelling when you’ll be handling the rope a lot. They’re also perfect for use jumaring and hauling on big walls. The added protection you get on your upper fingers could mean your skin lasts a little bit longer for that hard redpoint. The disadvantage of full finger gloves is their dexterity. As anyone who ice climbs knows, it’s much harder to handle ropes and tie knots when you’ve got a pair of gloves on. 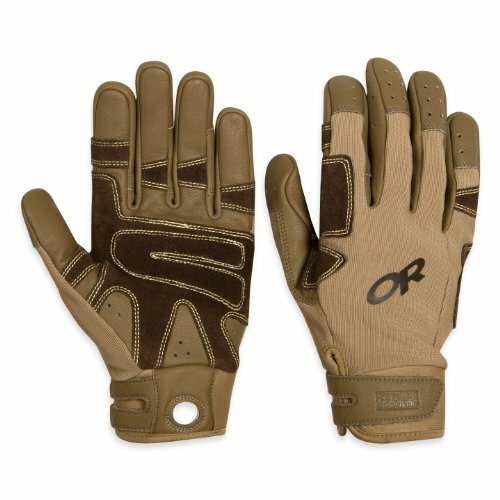 If you go for a full finger pair, try and buy a pair that’s close fitting at the end of the fingers. If the fingers are too long for your hands, the ends of the glove are likely to get trapped in carabiners or knots. Half finger gloves give you much more dexterity. 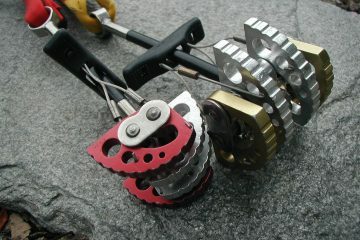 This is useful when you have to handle a lot of gear, for example if you are setting up anchors whilst on rappel. It’s also essential for leading an aid pitch, where you have to place small gear. Three-quarter fingers are a good compromise as they protect almost your whole finger, leaving just your finger tips exposed. 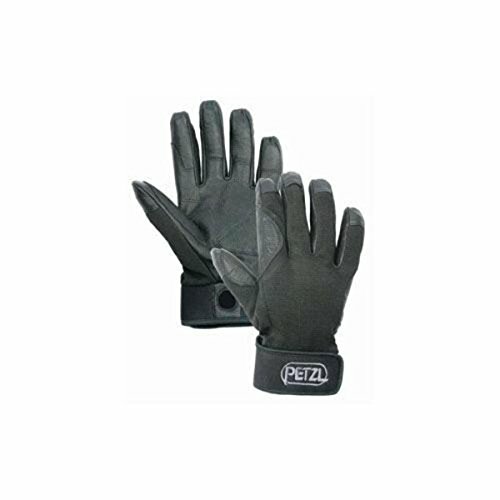 Belay gloves are made out of leather, synthetic leather and synthetic stretch fabrics. Most have the palm made out of either real or synthetic leather. Which fabric you go for is mainly personal preference. Real leather tends to last longer than synthetic, although there are now some very hardwearing synthetic options. Real leather also tends to mold to your hand better and many people find it more comfortable to wear. Look out for extra reinforcement on high-wear areas, such as the palm and space between your thumb and index finger. Many gloves have double layered leather here, or a second layer of suede. The fabric on the back of the hand is more variable. Some gloves are entirely leather. Others use a breathable stretch mesh on the back. 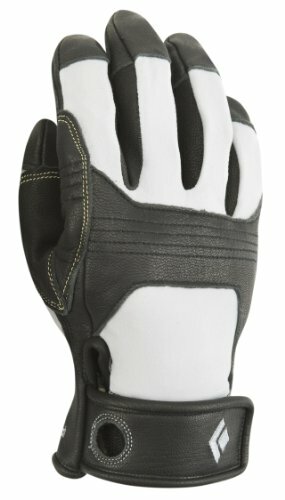 The lighter the fabric on the back of your hand, the cooler the glove will be in summer heat. Many people also find a stretch fabric more comfortable than leather. 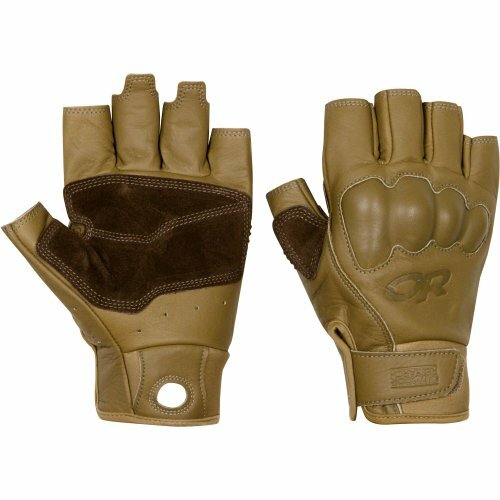 If you’re using the gloves a lot though, a mesh fabric is unlikely to last as long as a leather or synthetic leather back. 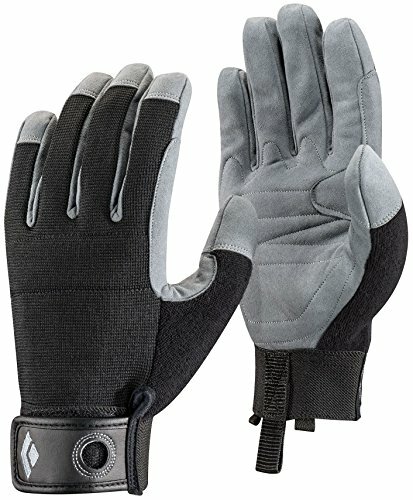 Most belay gloves have an adjustable wrist closure. Often this is a velcro tab that can be closed as tight as you want, or left loose. It’s important to find a wrist closure that isn’t too tight, as that will cut off circulation to your hands. But it needs to be tight enough that the gloves don’t ride up in use and become baggy on your hands. When climbing, you’re unlikely to want belay gloves on all the time. 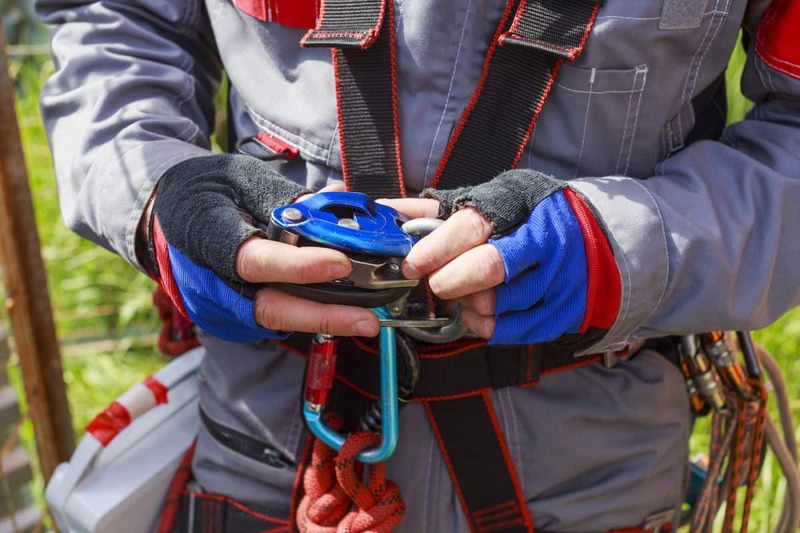 Get a pair that have an attachment point for a carabiner so you can hang them from your harness when you’re not using them. Some gloves have extra knuckle protection on the back of the hand. 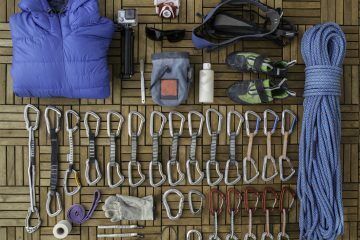 You won’t need this if you’re mainly belaying at a sport crag or at the gym. If you’re belaying a lot on cramped trad multipitch anchors, or rappelling complex lines, your knuckles will thank you for having some extra protection. 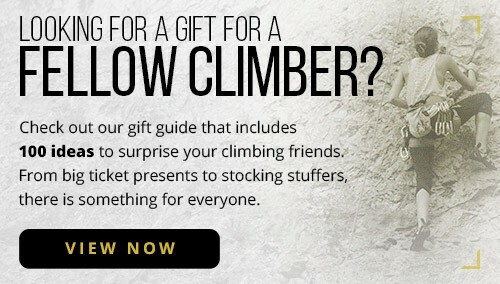 It’s great for aid climbing too. Originally from England, Maria's spent most of her life avoiding real jobs and exploring mountain ranges from Patagonia to Greenland. She can currently be found living the simple life in her van, somewhere between Canada and California, skiing powder or spending days hanging off the side of a big wall. A self-proclaimed gear geek and qualified climbing instructor, she co-runs a climbing skills website: www.vdiffclimbing.com.